You don’t have to think of yourself as being socially conscious in order to live green. Most local residents are aware of how important it is to preserve the environment and this is why they often search for Akron dumpster recycling services that they can trust to respect all natural resources. When shopping around for a company that offers dumpster rentals, you should always make sure that these entities are actually recycling the materials that they pick up. 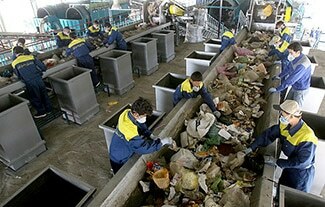 Learning more about the operations of a waste management service is a good decision. Much of the info that you require can be gathered with just a few easy steps. Search for businesses that use a process called single stream recycling. With this type of recycling you can put all of your recyclable materials into just one bin which keeps the entire process fast and efficient given that the waste management service can minimize its transportation expenses and it also saves you time by negating the need to sort your waste items first. By keeping the process easy, people are often encouraged to recycle more. The Business Recycling website tells consumers that they are going to have to take a few additional steps in order to ensure that they are choosing trustworthy providers. As an example, requesting to walk through the plant is a good way to make sure that a company is processing these materials in an appropriate manner. You can even ask a manager to go over the different processes that are employed as this can help you gauge the experience and professionalism of the service. Always check the routing processes for waste and learn more about how it is being reclaimed. Also ask whether you can see the final bales of recycled materials. Find out whether the businesses has been accredited by a reputable, professional organization. Accreditation implies that the business can be trusted as per a neutral, third-party. Current performance reports can be reviewed as well to see how effective these providers really are. Last, talk to recycling company management teams to find out whether they have been investigated or fined in the past for breaking federal laws or other regulations. These issues are always a matter of public record. Many states also retain files concerning environmental issues such as these. When companies have clean records with no recent investigations or fines, this can be seen as a sign of a worthy provider. It doesn’t have to be a major challenge for businesses and companies to recycle their waste. If you do a bit of research and check these facilities out in person, you will likely choose an option that works well for you and that benefits the environment. Our business provides these services throughout greater Akron and we are fully compliant with all regulations concerning the efficient and safe recycling of various materials. We are glad to answer any questions that you still have concerning our processes and invite you to arrange a tour of our facility.